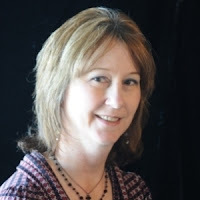 Some time back, I received a message from Heather Gilbert asking if I would be interested in reading and reviewing her Miranda Warning. I have to admit that after reading the blurb about the book, I was a little skeptical but decided to give it a try. This story was definitely different from most of what I usually read, and it took me just a little while to really get into it. As I continued reading, though, the story drew me in and definitely intrigued me. 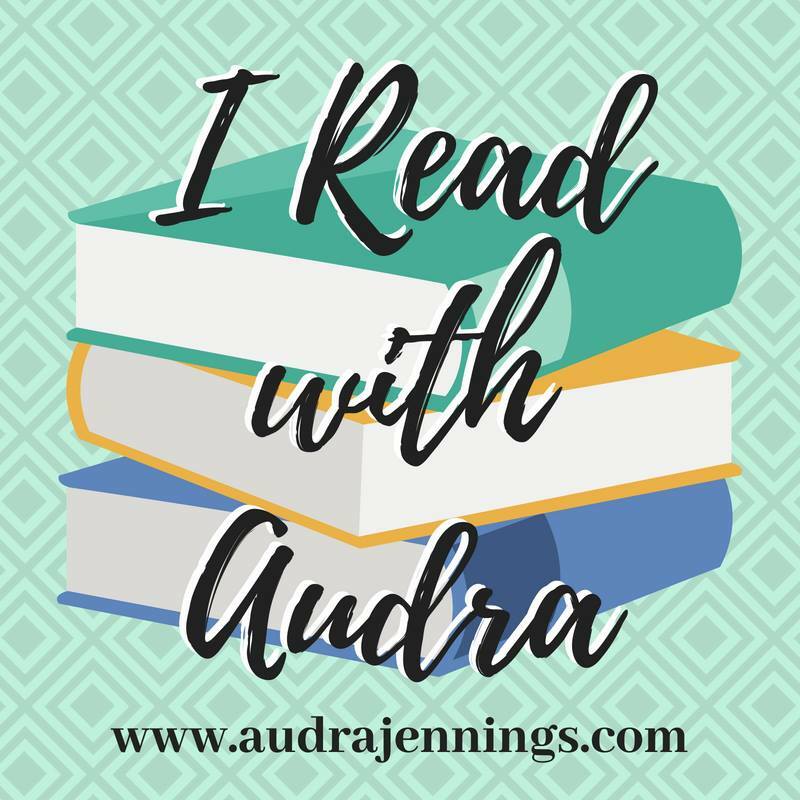 I wasn't sure where she was going with the story being told from two totally different perspectives, but the progression which gradually brought the two together, along with the element of suspense throughout, certainly kept me turning the pages. The wide variety of characters added much to the interest level of the story. Thanks to Heather for providing a copy of this book in exchange for my honest review. 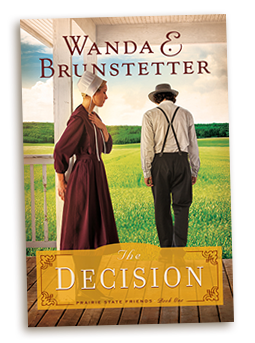 Wanda Brunstetter's The Decision is the beginning of a new trilogy set in the Amish community of Arthur, Illinois. The story is not necessarily a "happy-ever-after" one; instead it deals with several difficult real-life issues. In many ways it is rather slow-moving and just sort of flows into a non-climactic conclusion. The book does include many of the usual authentic elements of good Amish fiction readers can expect in Wanda's works. Fans of this genre should enjoy this story. Thanks to Wanda and her publisher for providing a copy of The Decision in exchange for my honest review. Amish settlements throughout the States. 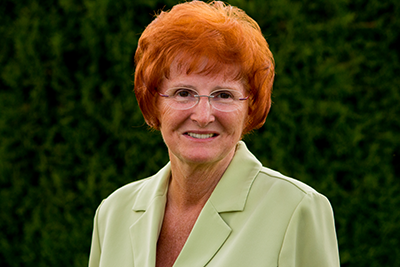 Every time I read a book by Anita Higman I expect it to have its own unique twist, quirky characters, and fun story. Summer's List definitely does not disappoint! This delightful story is filled with interesting characters, each with their own problems and questions. Anita's storytelling magic comes to life with the adventures and lessons for all who are impacted by Summer and her granny's list. Summer, Martin, and the other Langtree brothers make some life-altering discoveries about themselves that come together in a satisfying conclusion of the story. I would highly recommend Summer's List to anyone looking for a sweet story of love and adventure. Thanks to Anita and Litfuse Publicity Group for providing copies of this book in exchange for my honest review. See what other readers think about Summer's List here. Life hadn't been easy for Summer Snow. 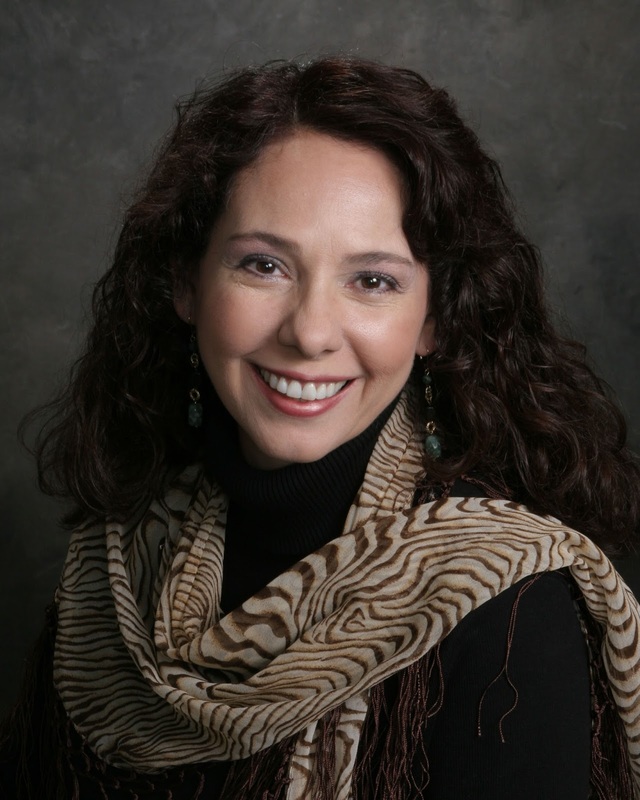 In acts of selflessness-caring for her ailing parents and running her grandmother's bookstore-she had forfeited her youth and dreams for the needs of others. And the only tries she had at love... didn't turn out. She had the bookstore, she had her beloved granny, but she was missing something -- or someone. Visit Anita online at anitahigman.com. 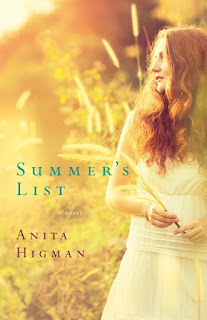 I have an extra copy of Summer's List that I would love to share with one lucky reader. To have a chance to win, just become of follower of my blog and comment below (be sure to include your email address). A winner will be chosen at random sometime after 5 pm on June 26, 2015. 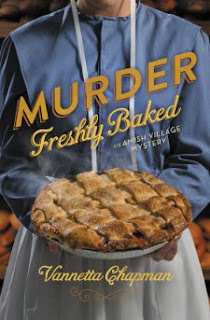 Vannetta Chapman finishes her Amish Village Mystery series in great style with Murder Freshly Baked. This book works fine as a stand alone, although there are several references to events from the previous books in the series. This story is a mixture of several elements, some of them very difficult topics that have nothing to do with the Amish backdrop -- things such as PTSD and cancer. Vannetta weaves all the different pieces together into a well-crafted story that keep you involved and guessing about the outcome of the mystery. With Amish and Englisch characters, along with a couple of pretty important animals, there is something for readers with a wide variety of interests. Although the mystery and sub-plots of the story were very good, I think Vannetta's characters are what really drive this story. Hannah and Amber, of course, are great -- women I would enjoy sharing a friendship with. Pam is what we southerners would call a "hoot." But Preston was actually one of my favorites. Watching him deal with such major challenges and learn about God's care and grace was a very enjoyable part of this story. Having had the opportunity to visit Shipshewana and Das Dutchman Essehnaus in Middlebury last summer, I could almost picture myself walking through the shops of the fictional Amish Artisan Village where the story takes place. 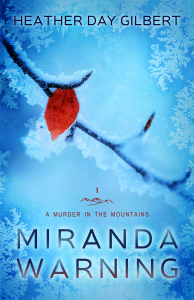 I highly recommend Murder Freshly Baked as a great, fairly quick read. Thanks to Booklook Bloggers for providing a copy of this book in exchange for my honest review. The Amish Artisan Village in Middlebury, Indiana, has been decorated with every color of balloon and flower for the Race for a Cure. As manager of the Village, Amber Bowman is thrilled to see the turnout-and relieved to have something to distract her from the "Poison Poet"-an individual who has been sending notes containing bad poetry to warn of poisoned baked goods. Amber once again looks to her young Amish friend Hannah Troyer to help her find the killer-and to determine if it's the same person leaving the cryptic poems and pies. Can they help the police before the Poison Poet strikes again? Both Amber and Hannah will need to draw on their faith as they fight to preserve the peaceful community they've built at the Amish Artisan Village. Wow, what a story! 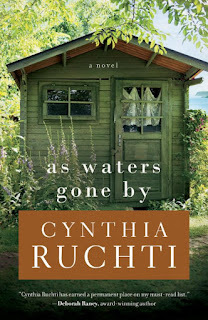 That was my first thought when I finished As Waters Gone By Cynthia Ruchti. This story is one that tugged at my heart on so many levels. I found hurt, brokenness, despair -- but also so much hope, healing, restoration, and joy! The cast of characters that Cynthia put together for this story is an absolute delight! All of them have their own unique pasts that have prepared them to fit together in just the right way at just the right time. And who would expect a quirky young woman named Boozie Unfortunate to be the one who helps her friends find God's hope and healing! If you're looking for a tender story of God bringing hope out of life's messes, As Waters Gone By is a great choice! 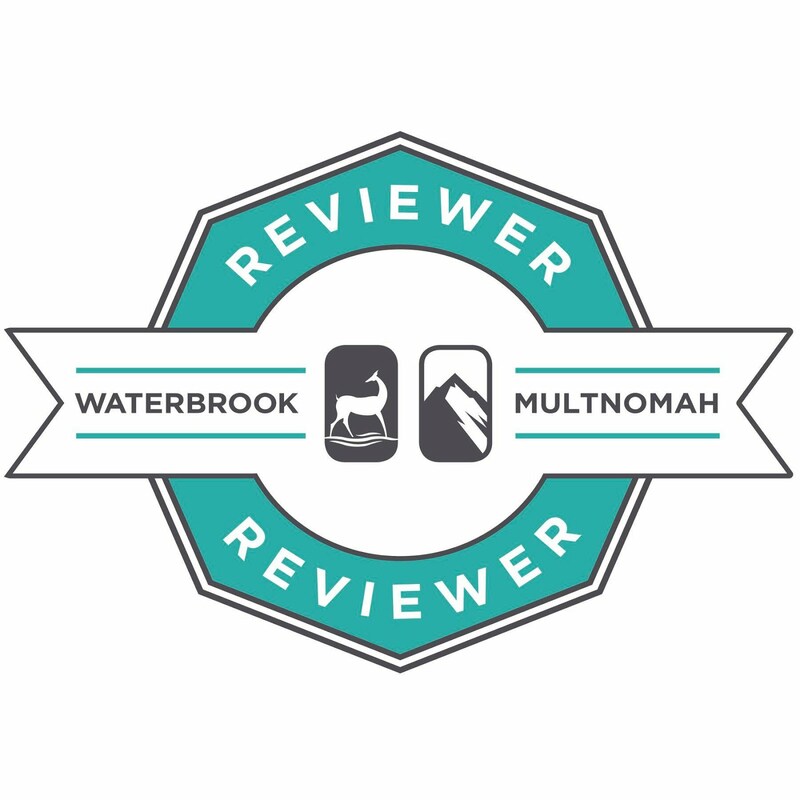 See what other reviewers have to say about As Waters Gone By here. Cynthia Ruchti has more than three decades of radio broadcast experience with “Heartbeat of the Home” radio and currently serves as Professional Relations Liaison for American Christian Fiction Writers. Find Cynthia on the Web at www.cynthiaruchti.com. Plus, now through mid-July, sign up for Cynthia’s mailing list for a five-day virtual tour around Madeline Island for the chance to win a Hemmed in Hope prize pack. 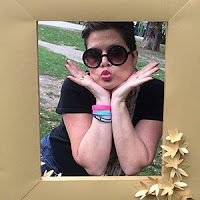 Each day begins with an email from Cynthia that introduces where you’ll be “visiting” that day (all key places from As Waters Gone By) with various interactive elements, including“I wish you were here” postcards, trivia quizzes, and an ongoing Island scavenger hunt. The person who interacts the most will win a Hemmed in Hope prize pack (valued at more than $200). 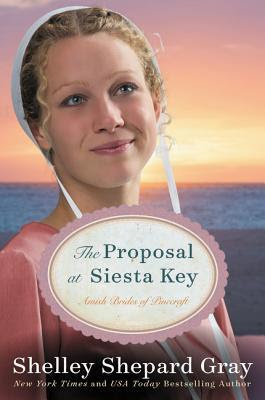 See what other reviewers have to say about The Proposal at Siesta Key here. 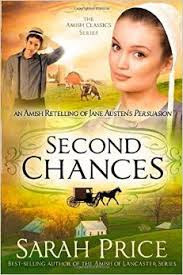 Second Chances is another winner in Sarah Price's Amish Classics series, where she puts her own twist on a classic story and brings it to new life in an unexpected setting. Readers will enjoy following the journey of Anna, a young Amish woman struggling against the persuasion of her family and friends as she tries to find her second chance at love. Fans of Jane Austen's classics should enjoy this retelling of Persuasion in an Amish setting. 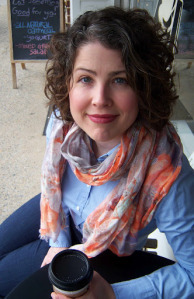 Thanks to Sarah Price's awesome Amish storytelling skills, fans of that genre are also sure to appreciate her latest work. Thanks to Sarah Price for giving me the opportunity to read an advanced copy of this story in exchange for my honest review.